I don’t know when I first took communion. I have since learned that whenever it was, it was done improperly. My home church didn’t always do things by the book. And thank God for that. Well, that wasn’t all. The pastor then came around with a larger metal tray, upon which were tiny glasses with grape juice in them. My grandfather’s fingers reached out to pluck up a glass, and handed it to me. I held it until he got his, and the others got theirs and then we drank. I loved the grape juice. It was something we never had at home. And it was so deeply purple. And it was a challenge to get the entire glass full because a little drop always stayed on the bottom, and all the other glasses had those drops. I loved the taste, and the glass and the moment. Then we returned to our seats and waited, often three months, until the next time. I have been a big fan of communion since those early times at the altar of my home church. I was able to talk the communion steward into giving me the leftovers, and often took home a half-bottle of grape juice in those quarterly communion celebrations. What I found was improper about my taking communion as a child was that I wasn’t baptized. Dr Dennis Campbell, once dean of the Divinity School at Duke, informed me in a Methodism class once that it wasn’t proper to give communion to unbaptized people. I’m glad my church didn’t say anything. I was supposed to be baptized but the Baptist side of the family found out just in the nick of time to abort that activity, and I had to wait until after the “age of accountability.” But I still got to participate with my Pappaw in communion. And that’s a good thing. Most of my colleagues can tell tales of when they have presided at communion and people have done strange and unexpected things. Like eating the bread before they have a chance to dip it in the chalice whenever they’ve practiced “intinction.” That’s dipping a piece of bread in a common cup. This style of communion became pretty prevalent in the 1980s, and continues to be used, although there are those who don’t find it savory as they imagine it will make them physically sick to share communion with someone who might have germs. It might make them sick, but they’ll die holy, so what’s the beef? One of my former church members referred to “inctinction” as “Dip and Drip.” I have found at least one person will eat their bread before dipping when we do this, no matter the size of the crowd. Once a man took the chalice out of my hand and took a big, ole swig of it, then gave it back with a grin. I’m glad he was at the end of the line. In our Methodist tradition we don’t drink the rest of the wine like some of our more sacramental brothers and sisters will. But there has been a movement among worship professors in seminaries to encourage people to come up and consume what’s left over after worship has ended. They say it enhances fellowship. Otherwise you’re supposed to throw the bread crumbs outside and pour the juice out on the ground, so it goes back to creation. That would be a good thing to teach. I failed to do that apparently in one church. My communion steward in a little mountain church not far from where I now live, seemed to always have a hard time getting the concept of a bread loaf. She mostly brought hot dog buns. In my early days I celebrated Holy Communion once a month, so she could be forgiven for complaining, but she was also pretty skimpy with stuff. I found out the communion juice was a problem too. In fact I had a hard time convincing her that she needed to use grape “juice,” not grape “drink.” The drink was like a sugary beverage, the juice was 100 percent juice. I was taught that Welch’s brand was best because the Welch family perfected the process that enabled grape juice to be stored for long periods without becoming wine. That was important in the days of the Temperance and Prohibition movement, so many of our churches used that brand. What I didn’t know was that this well-meaning lady was pouring the juice back into the bottle after communion, and sticking it the refrigerator for the next month. Then she’d show up with those infernal buns. Have you ever tried to be serious and holy with a hot dog bun? Hard to do, let me tell you. Then as we were serving communion one time, someone dipped their bread in the pretty little cup we were using and a real long string of something attached to the bread that had to be Jesus’ sinews. It was pretty gross though, and after that I brought my own communion supplies. All she would have had to do would have been told me. But we didn’t need Jesus strings in the grape juice. 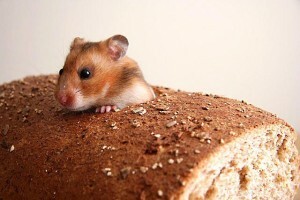 Legend has it that in the olden days when the “host” was reserved (the leftover bread) after they had prayed over it, it was possible for a mouse to get in it and they had long debates over whether it was really communion if a mouse ate it, especially one unbaptized. There’s nothing magic about bread and wine. But there’s something deeply holy about sharing it with people you love. And if you get the leftovers, that’s not bad either. This entry was posted in Uncategorized and tagged altar, Bread, Church, grandfather, hoc est corpus meum, holy, Holy communion, intinction, juice, kneeling, knees, minister, rail, wine. Bookmark the permalink. What great memories with your Pappaw. That is funny they used a hot dog bun at one church. Now that is Appalachian.